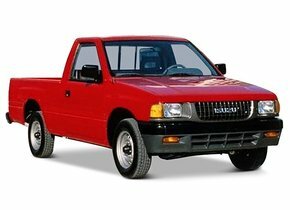 , the brand was responsible for releasing the first truck ever in Japan. 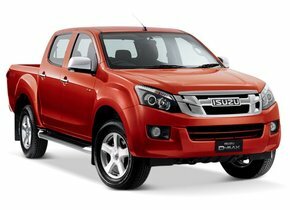 Are you the owner of a car of the brand Isuzu? Did you drive this car and have you been confronted with an asterisk or crack in the windscreen? In that case, it is highly recommended to outsource the replacement of your Isuzu windscreen to Autoglas Concurrent! Damage caused to your Isuzu windscreen always manifests itself in the form of a crack or an asterisk. This seems difficult for many people to understand, especially as a damaged side or rear window always splashes apart. This is because these car windows are not made of laminated glass (with a few exceptions for very expensive, exclusive cars left there). The Isuzu windscreen is made of laminated glass. This is automotive glass that consists of several glass layers with a layer of PVB film in between. This PVB film is actually a kind of plastic that has an adhesive effect on both sides. This adhesive function is extremely important. It ensures that, in the event of damage, the glass does not simply splash into countless pieces. This will provide additional and crucial protection for both the driver and passengers of the car. The mere fact that an asterisk or crack occurs when the windscreen is damaged looks rather innocent at first sight, but that is not always the case. After all, the place where the window damage appears is always of decisive importance in this respect. Is the APK control on the planning for your Isuzu and is there an asterisk or crack in the windscreen? Then the windscreen replacement of the Isuzu is perhaps a requirement. However, this does not apply to all situations. As stated earlier in this article, the location of the crack or asterisk in the windscreen is of decisive importance in this respect. For example, is the damage caused by window damage directly in the driver's field of view? It can then be a danger to all road users, which means that it must be remedied as soon as possible. In this case, there will always be a rejection for the APK. Can the asterisk or a few cracks be found outside the driver's field of vision? Then it becomes a completely different story. In that case, windscreen replacement of your Isuzu may not be necessary immediately, but it is still recommended. The windscreen replacement of an Isuzu is therefore not always necessary, but it is always advisable for safety reasons. The glass that can be found in a car is for the most part responsible for the rigidity of the chassis. This ensures that damage can potentially threaten the occupants of the vehicle. A windscreen replacement of the Isuzu is highly recommended for this reason alone. One of the main reasons why a damaged windscreen replacement of an Isuzu is often postponed is, of course, reflected in the associated price. Buying an original, new Isuzu windscreen therefore always costs a considerable amount of money. Fortunately, there is also a possibility to save on these costs. At Autoglas Concurrent, our customers always have the option of opting for an after-market windscreen. This is a windscreen of the same quality as an original one, but it lacks the brand logo. 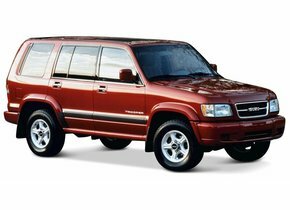 Due to the lack of this brand logo, it is possible to achieve an impressive saving, which means that a windscreen replacement of your Isuzu becomes a lot more affordable. The windscreen replacement of your Isuzu with after-market automotive glass ensures that you can achieve a very attractive saving. That is of course very nice, but there is more. Who exactly is going to replace your windscreen for you? You should preferably call on a party that already has the necessary experience and expertise. Autoglas Concurrent is outsourcing windscreen replacement of each Isuzu for this reason to FOCWA-certified partners. These specialist partners ensure that your windscreen can be replaced efficiently, allowing you to quickly get back on the road with your Isuzu.